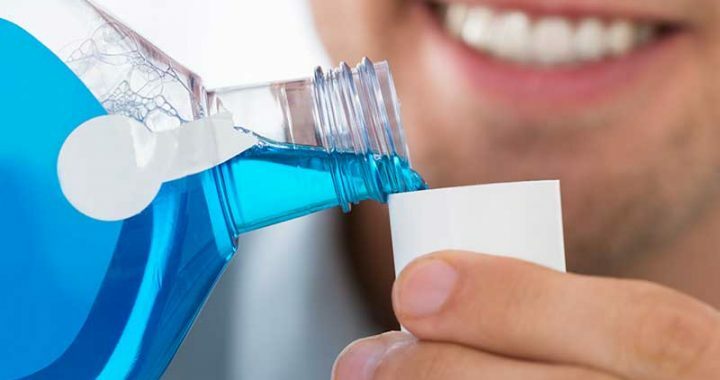 Most people are concerned to improve their oral health, brushing regularly and using a mouth wash or rinse - but you may be surprised to learn that dentists will advise avoiding rinsing and using mouthwash after brushing your teeth. Most people automatically rinse after brushing, but it advisable not to rinse as it can remove helpful fluoride from the mouth. Fluoride, a mineral, is often added to toothpaste as it strengthens tooth enamel and lowers tooth decay. Rinsing or using mouth wash after brushing remove much of that fluoride, reducing or eliminating the beneficial effects of the fluoride. Each of should brush twice a day, preferably with an electric toothbrush, along with flossing regularly and using inter-dental brushes for between your teeth. We should angle the head of the brush, making sure we also cover the gum line. Brush gently, if you are too hard you can actually erode enamel and increase sensitivity and ultimately decay. Also do not brush straight after eating as your enamel softens until 45 to 60 minutes after your meal. Posted in Cosmetic Dentistry, Decay, Dental Health, Gum Disease, Health, News, Sensitive Teeth and tagged Dental Health, General Health, Gum Disease, News, Pain, Sensitivity, Smile.